Nithurhan Carthikeyan is on a mission. Not only did he start an e-waste (“electronic waste”) program at the Milpitas Public Library, allowing anyone in the community to drop off unwanted electronics in need of disposal, but he also has big plans for the future. Since last September, he’s been showing up at the Milpitas Library twice a week to pick up electronic waste items like computers and printers. Per his program, boxes are left out at the library, along with a sign letting people know that they’re free to leave their e-waste. His father helps him load what’s there into the car, then they take it to places like Staples, which offers free electronic recycling. 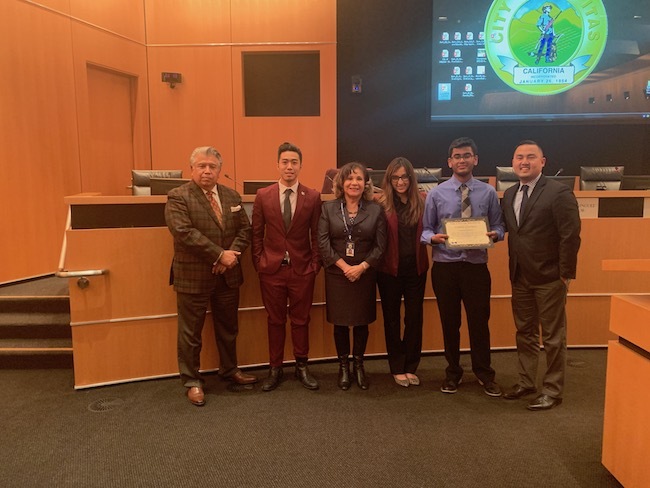 A sophomore at Irvington High School in Fremont, Carthikeyan was given a class assignment to go out and do something to help the environment. 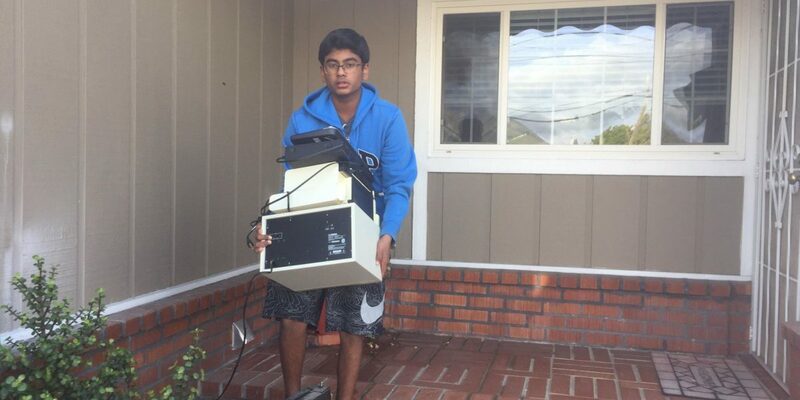 So he and other students in his class got together and began distributing flyers around Fremont, letting people know that they would pick up and dispose of e-waste. After seeing the positive response, Carthikeyan resolved to continue the process, even after the assignment was done. Although Carthikeyan and his family live in Fremont, the Milpitas Library is the one closest to their home. Given the library’s visibly high traffic, Carthikeyan figured, Why not make it convenient for everyone and set up his free e-waste program there? His idea was right on the money. Every week, on average, Carthikeyan collects between 200-300 pounds of e-waste. This one student’s work makes a major impact on our community. So much so that at last night’s Milpitas City Council meeting, Carthikeyan received a commendation. Carthikeyan’s goals and ambitions aren’t just limited to the environment and public health. In the future, he would also like to start a free tutoring program for middle and high school students.